Everything you need to know to find the Dopest Remote Job in 2018 & Beyond! . If you are sick of working in an office and dealing with toxic co-workers and office politics... then YEAH, YOU SHOULD GET THIS COURSE! If you are sick and tired of commuting for hours each day and would like to work from home... then YEAH, YOU SHOULD GET THIS COURSE! If you want to add an extra income stream to your household without having to work outside the home... then YEAH, YOU SHOULD GET THIS COURSE! If you want to explore the possibility of living like a King or Queen in a foreign country such as Thailand or Bali while making big American dollars and funding your very cheap luxury life overseas... then YEAH, YOU SHOULD GET THIS COURSE! If you want to travel the world as much as you want and have asked yourself, "how in the hell will I be able to fund the lifestyle!?!"... then YEAH, YOU SHOULD GET THIS COURSE! If you want to say F-YOU to having a traditional 9 to 5 job and want to instead earn your income on your terms.. then YEAH, YOU SHOULD GET THIS COURSE! If you are a teen or have a teen that is constantly denied landing a parttime job... then YEAH, YOU SHOULD GET THIS COURSE! If you have awesome skills and have been laid off for months and months and cannot land a damn job... then YEAH, YOU SHOULD GET THIS COURSE!! If you cannot stand working around other people... then YEAH, YOU SHOULD GET THIS COURSE! If you have always thought about working remotely but thought that only people with technical skills, such as Programmers, Web Developers, Engineers could land remote work... then YEAH, YOU SHOULD GET THIS COURSE!! If you are an Expat living abroad and want to find new ways to fund your lifestyle... then YEAH, YOU SHOULD GET THIS COURSE!! If you want to become an Expat and live abroad in awesome countries on a permanenent basis... then, YEAH, YOU SHOULD GET THIS COURSE!! If you just want to learn about and open yourself to the joys and possibilities of working remotely... then YEAH, YOU SHOULD GET THIS COURSE!! If you want to learn from a straight-shooting, hold nothing back, real deal Expert on this topic... someone that has VERY SUCCESSFULLY freed herself YEARS AGO from a traditional 9 to 5 in order to become a Homefree, Permanent, Luxury World Traveler that has been been fully supporting my luxury lifestyle abroad for over 4 years now... then YEAH, YOU SHOULD GET THIS COURSE!!! If you are looking for a get rich quick method... then DO NOT BUY THIS COURSE! If you are not willing to do the work necessary to land your perfect remote job... then DO NOT BUY THIS COURSE! If you are not open to new possibilities and creating new realities in your life... then DO NOT BUY THIS COURSE! I AM LOOKING FORWARD TO MEETING ALL OF MY NEW STUDENTS THAT DO DECIDE TO TAKE THE LEAP AND BEGIN THE FIRST STEPS TO THIS NEW LIFE OF FREEDOM & POSSIBILITY!!! 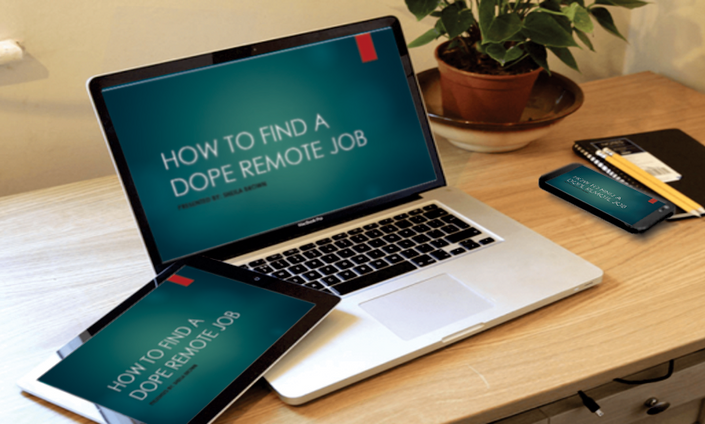 HOW TO FIND A DOPE REMOTE JOB - MODULE 5 - Becoming a $ucce$$ful Freelancer using Fiverr! 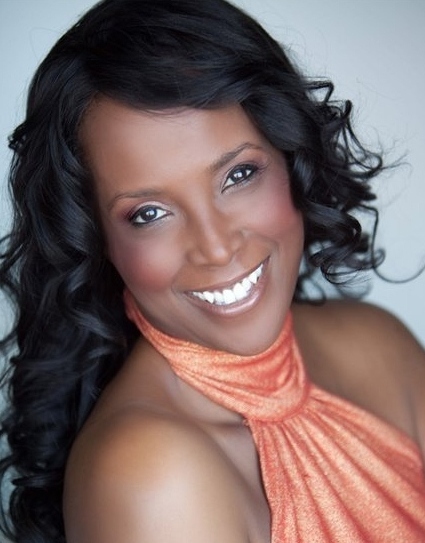 Sheila Brown is a powerhouse World Traveler, Business Consultant and Internet marketing coach, that helps aspiring and veteran entrepreneurs build more income streams to enjoy lives of Freedom. She has traveled to over 34 countries , 130+ cities and has relocated to both Thailand and the beautiful Dominican Republic where she is currently living her luxury, oceanfront dream life! As the Creator of the best selling course, 'Find a Dope Remote Job' co-creator of Portable Incomes, a 6 module online course that teaches how to create portable income streams to have a portable life, she’s taught successful remote working strategies, product creation strategies, business branding, outsourcing, and traffic generation to students all over the world that has enabled them to build lives of freedom for themselves.